This evening we had a great time as we welcomed the people of All Saints’ Cathedral and Heliopolis Community Church to our joint Ash Wednesday Service. Rev. Mike Parker from All Saints’ preached and Pastor Mark Nygard led the service and celebrated communion as we gathered in the chancel and overflowed into the nave for this penitential service. More trouble errupted in the street outside the church towards the end of the service, and gunshots were heard. However, we remained for refreshments and were able to all leave safely around an hour later. 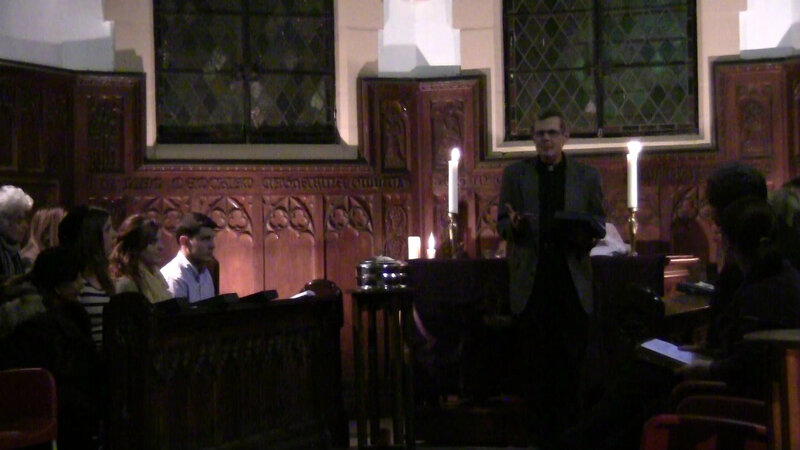 The Ash Wednesday service was videoed and will probably be viewed by tens of people. Last Saturday, another service was filmed and was viewed by many millions. This was the funeral of Whitney Houston. I caught it by accident and ended up watching for nearly three hours. It was carried live, without interuption on BBC and CNN and was an incredible testimony to Jesus and his victory over death, watched by people from all over the world, many of whom would never have otherwise heard. You can watch it in its entirety on YouTube at: http://www.youtube.com/watch?v=yqq-V134aO8 Our, less exciting, Ash Wednesday service will be available to view soon. This Friday we have our “Shrove Friday” pancake day! Instead of sharing pancakes on Shrove Tuesday, which is the British tradition, we will be sharing pancakes following the service on Friday. Remember to bring pancakes and toppings to share. We will have microwaves to warm them up! On the building front, work will start on the church bathrooms tomorrow, first the Ladies’ and then the Men’s! Soon we will have beautiful clean bathrooms – with soap and hot water!!! Please pray for us all as we enter the Lenten season and as we prepare for the run-up to Easter. Remember, we have our Easter Anafora retreat – sign up this Friday if you would like to come! Bring pancakes and toppings to share following morning worship this Friday! Gloria has the sign-up sheet for the Anafora retreat of Friday 6th & Saturday 7th April. Please sign-up if you intend to come. The cost will be LE50 – LE100. The next Church Council meeting will be next Tuesday, 28th February, at 5:30 pm. Members of both the out-going and new council are invited to attend.